"Experienced Handlers Of Your Valuable Home Furnishings"
If you’re searching for a local Las Vegas moving company, or a national mover for a residential relocation, Red Carpet Moving is one of Las Vegas’ most experienced, trusted and respected movers. Our moving specialists work with clients to plan every element of the move with an unsurpassed combination of experienced professionals, competitive pricing and firm commitment to customer satisfaction. Services include packing, loading labor, local moving, interstate moving to ten west coast states, and new and used packing material sales. Red Carpet Moving provides the finest door to door and domestic service available. 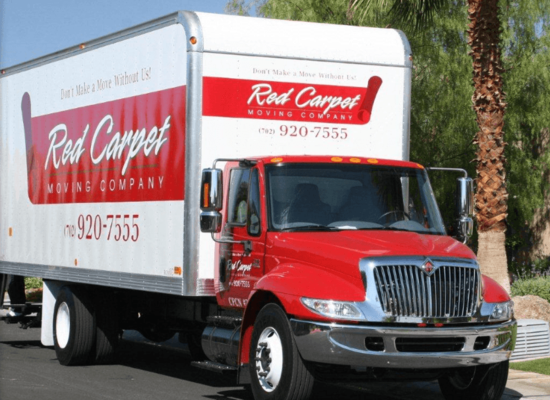 With a worldwide network of agents, Red Carpet Moving expertly manages residential moves efficiently and to customer satisfaction. Each move is evaluated by experienced professionals and comes with a guaranteed estimate with no hidden costs.